This force of nature will be joining us for the Far North DISKOTEK Sessions in April. 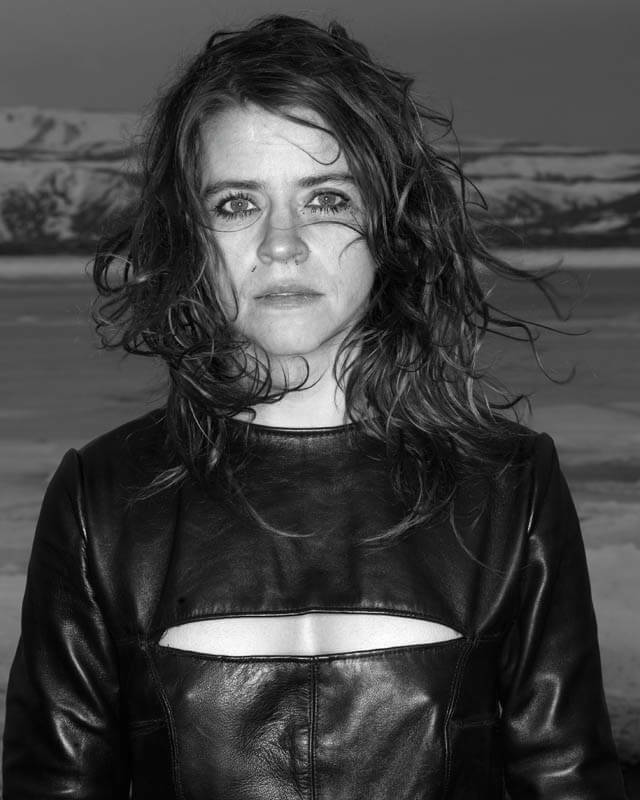 ERNA ÒMARSDOTTIR is born in Reykjavik, Iceland. She graduated from PARTS (performing arts research and training studios)1998 under the direction of Anna Teresa de Keersemaeker. Following her graduation she worked with the Belgian theater director Jan Fabre in several creations. She worked also with the Belgian dancecompany Ballet c De la B and Sidi Larbi Cherkaoui in Foi. She has been one of the founders and a member of two collectives, EKKA from Reykjavik and PONI from Brussels. Hrvation(Janez Janza) WE ARE ALL MARLENE DIETRICH FOR, 2005 and in collaboration with Damien Jalet and Gabríela Friðriksdóttir TRANSAQUANIA, ( OUT OF THE BLUE) 2009 and TRANSAQUANIA-INTO THIN AIR thin air, 2010. In 2009 she directed and created BLACK MARROW for the Melbourne based company Chunky Move at the Melbourne international Artsfestival as-well in collaboration with Damien Jalet. Together with Valdimar Jóhannsson she created the company Shalala in 2008. Amongst their most recent works are WE SAW MONSTER, premiered at the National theater of Iceland for the Reykjaviks Artfestival 2011, THE TICKLING DEATH MACHINE , premiered at the Kunstenfestival des Arts Brussels, 2011, TEACH US TO OUTGROW OUR MADNESS, premiered at Les antipodes, Scene nationale des Quartz in Brest 2009 , the theatrical band LAZYBLOOD. She is a member of the trio Skyrleebob together with Gudni Gunnarsson and Lieven Dousselaere. She has also collaborated several times with the Icelandic visualartist Gabriela Fridriksdottir,(for venice biennale 2005 etc) and the Icelandic musician Bjork. as well as Ólöf Arnalds, Ben Frost etc….In November 2007 she had the honor to be chosen the artist associated at the festival LES GRANDES TRAVERSEES in Bordeaux in France. Curating it and performing all her recent work. She has several times been mentioned in the Ballet Tanz yearly nominations for outstanding dance or promising choreography.